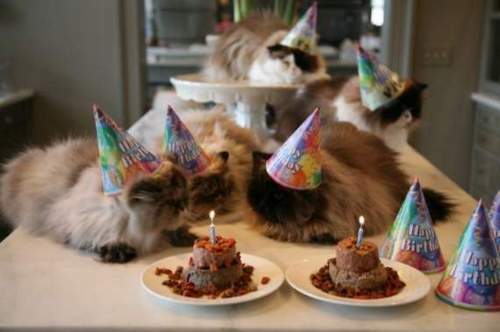 Home / IPKat event / IPKat’s 15th birthday / The IPKat is turning 15 ... and is inviting you to the birthday party! The IPKat is turning 15 ... and is inviting you to the birthday party! Can you believe that the IPKat is no longer a kitten and is actually turning 15 this year?! To celebrate the best of the teen age years of the IP community's favourite blog, join us on Monday, 2 July at Bird&Bird in London offices for an afternoon of celebrations and discussions about the recent past, present and future of this great area of the law! For those attending there will be also a GREAT surprise! How should and will industry change? How should and will the IP bench change? How will the study of IP change? How will the practice of IP change? How does IP blogging fit into all of this? Also in attendance (and speaking) from the IPKat team: Verónica Rodríguez Arguijo, Ieva Giedrimaite, Rose Hughes, Tian Lu, Nedim Malovic, Cecilia Sbrolli, and Nicola Searle. Further details and registration here: but hurry up because places are limited!! Will any of this be streamed?